This a perfects multi-activity excursion of eco tourism which combines by Elephant Bathing, Rafting, Rope bridge, Flying Fox (Zip-line) and ATV. The Anda Adventure takes you on a journey to the wonderful highland landscapes. Song-Phreak is fortunate in its prime location for tourism in terms of natural attractions mountains and river sites which reflect the glories of nature, allowing visitors easy access to all these treasures by venture activities. 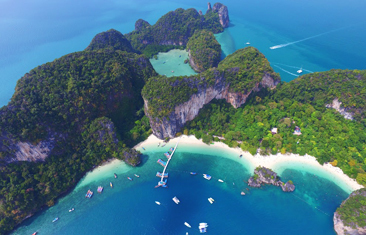 Song-Phreak is a small sub district in Phang-Nga District Town, located on the highland landscape, between Kratha Kwum Hills and Khao Hra Sung Mountain. The minority Chinese label from main land emigrated to inhabitation for ten mile, Situated 15 kilometers from Phang-Nga District Town. Anda adventure Land is a base camp located by the river side at Song-Phreak, Phang Nga which is only 20 minutes from Phang Nga Town. Nature luxury facilities are provided, which are include: bungalow, warehouse, restaurant, changing room/shower lavatory, hygienic toilet, locker room, introductory area for paddle training & practical. Changing cloth to be a mahout and training a basic of elephant training course. Enjoy learning a basic of elephant training course. 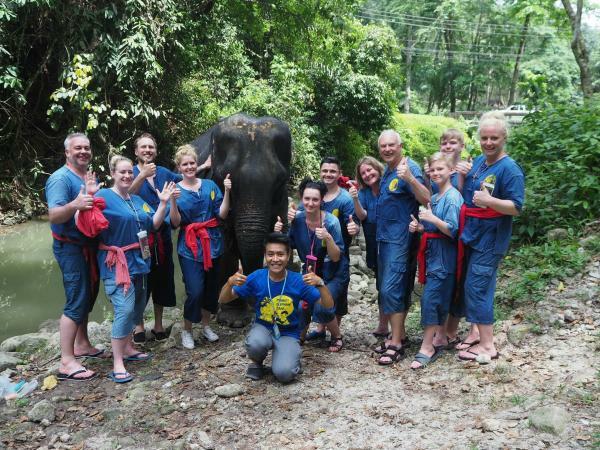 E2 HALF DAY ELEPHANT CARE with Rafting 5 km. This program is a full activity with elephant care and adventure activities. Enjoy with making food, bathing with elephant and also excited with Rafting, ATV, Rope Bridge and flying fox as well. E4 ELEPHANT CARE with ATV. 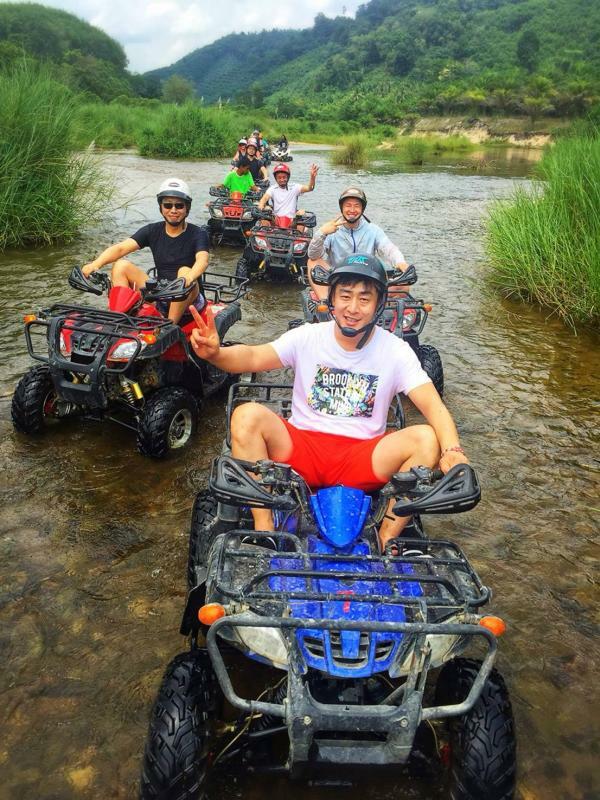 This program is suit for one who love thrilling with ATV and Rafting. Moreover, you can enjoy with elephant care by making food and bathing with elephant. E5 FULL DAY Rafting with ATV. 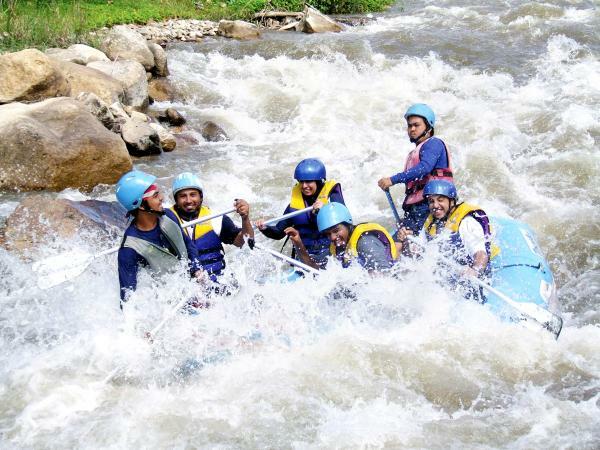 This program is properly for person who want to enjoy with Rafting and Waterfall. Moreover,Let’s get the cookery class. 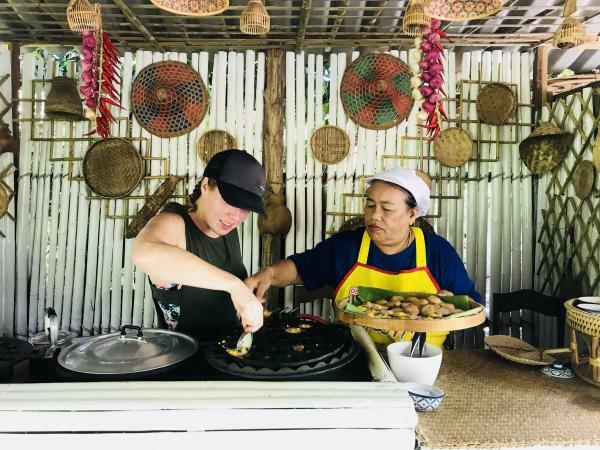 Making KANOM – KLOK, the traditional thai dessert by yourself. E5 Full day Rafing 5-7 Km. with ATV 30 min.